Why do so many diets end in failure? Why is it so easy to gain lost weight back? And why can’t you maintain your ideal weight at all times? If you’ve tried every quick-fix fad diet under the sun, you realize they can help you lose weight instantly. Unfortunately, keeping the pounds off usually doesn’t happen with these diets. Real weight loss comes with lasting, healthy lifestyle changes. So stop starving yourself, counting calories, or eliminating your favorite food group. Simply make the following lifestyle changes. 5. Physical Activity: Weight loss is about burning more calories than you consume. Therefore, it should make sense to you that dieting and exercise must go hand in hand. If you want to speed up weight loss and keep the weight away, add or increase the amount and intensity of physical activity in your daily life. 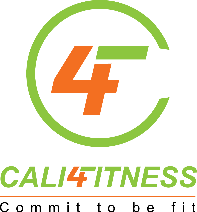 Cali 4 Fitness is here to help you meet your fitness and weight loss goals. Call or email today to get started on a fitness program that will get you on the fast track to your best body ever.